We offer an exciting range of low cost garden and sustainability workshops. Spaces fill up fast for these popular, informative and fun workshops so please book in early! Join Dr Upulie and Rachel (Ayurvedic therapist) from Back2Health for this FREE informative workshop. Discover how you can utilise Ayurvedic wisdom to cool your body and calm your mind. - Understand the signs of excess heat in your body. Pitta dosha aggravation. - Yoga & Meditation techniques to pacify internal heat. Stingless bees are Australia's indigenous social bee. They are a native alternative to honey bees, but are harmless and well suited to community and school gardens. The hives are useful garden companions being effective pollinators of many plants. Hives yield small amounts of delectable honey. They are great tools for environment education as they are inherently fascinating to children and have many interactions with plants and other insects. Come to this workshop to learn the basics of keeping and propagating native stingless bees in hives. Facilitator Tim Heard, an entomologist, is author and a long term stingless bee keeper and promoter of native bees and will be hosting the workshop. Tim has been keeping Australian native stingless bees for over 30 years. He transferred his first hive from a cut down tree into a wooden box in 1985 and now keeps more than 400 hives of three species, obtained by rescuing threatened wild hives and dividing existing hives. He is the author of The Australian Native Bee Book (best seller and multi award winner). If you have a fly net and hat, please bring that, and wear light coloured clothing with button up sleeves and collar. Purchase your tickets here: www.trybooking.com/BAYKK, and join the Facebook event. For thousands of years, ‘bushfood’ plants have been an integral part of our indigenous people’s staple diet and culture. Today these native foods are being ‘rediscovered’ by contemporary Australians and appreciated for the unique flavours they offer us. Join Veronica from Witjuti Grub Bushfood Nursery as she share’s the knowledge and experiences, gained over 18 years involvement with Native food plants, on how to create a Bushfood garden so you can enjoy the ‘Wild Taste of the Rainforest’ in your own backyard. Purchase your tickets here: www.trybooking.com/BAZLX, and join the Facebook event. You’ll plant to take home plants with edible flowers that attract pollinators to your veggie garden, create habitat and to provide a delicious meal. Linda will have a few lovely items for sale too: Organically grown seeds; her edible flower books; gift cards and honey. Bring a card or cash for your purchases, and a small box such as a cereal box or yoghurt container, to take home your growing seeds in. You can reserve your ticket by clicking here or join our Facebook event. Join us in learning how to make a simple pond in your yard that welcomes frogs to breed. Learn how to keep the water quality healthy with water-plants, including edibles, and which fish are good for keeping Mosquitos down while still giving frogs a chance. It's a very empowering and tranquil aspect of the garden. About the Presenter: James Barrie is an experienced pond-ecosystem-creator, specialising in native fish care, and native aquatic plants, and the health of the water and substrates they survive in. In this workshop we will cover sowing seeds, root devision, cuttings and the right mix to put them in. Everyone will get to take a cutting home. About the presenter: My name is Peta and I have 15+ years experience in permaculture, organic gardening, nursery management and sustainable education. I'm very passionate about what I do and would love for you to join me in this learning experience. - How does the biodynamic calendar works with the constellations and different parts of the plants. - The different preparations: 500, 501, the compost preparations. - The principles of stirring. - Guiding principles of cultivating biodynamically. - Where to if you want to go further. About the Presenter: Lise was born in Québec, Canada and came to Australia in 1989. 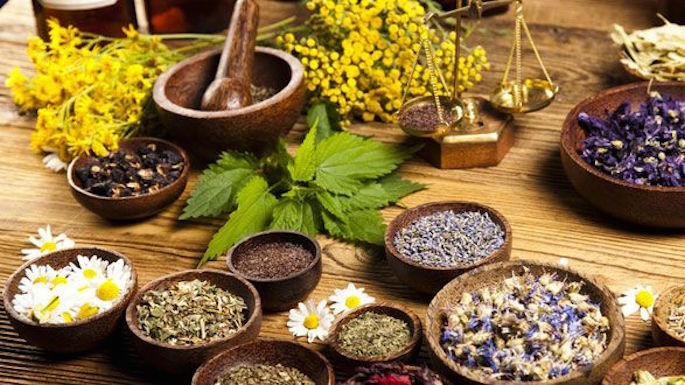 She holds a degree in nursing as well as traditional herbalist and has worked on public health research projects before exploring natural health. Lise owns a property in Tallebudgera which is certified Demeter Bio-dynamic since 2008. There she grows calendula flowers that are transformed into infused oil which is the key ingredient of my skin care range, The Herbal Gardener. We’ll take a look at what flowers are delicious to eat and how to get the most from your organically grown bunch of blooms. We also cover harvest and planting, organic care and design with edible flowers. We’ll also get sowing at the gardens, creating even more opportunities for you to get in and enjoy edible flowers. Learn how to grow enough organic food in your backyard to provide for 50-75% of your family’s fruit and vegetable needs in a small back yard. You will also learn how to make self-watering planter boxes and plenty of practical tips about backyard gardening. - Information about the global and local vertical garden movement and how Shane uses recycled material such as timber from pallets and shells from coconuts to make solar powered, water recycling, automatically irrigating vertical gardens with smart computer technology. - A practical demonstration showing how to make a vertical garden out of recycled pallets using some simple key design principles and techniques. - Opportunity for participants to make their own recycled PET bottle wicking pot plants and micro green growers to take home. Based in Brisbane, Space Plants provide vertical garden design, installation and maintenance services and specialise in integrating cutting edge technology to encourage a high level of interaction between people and plants. Please visit the Brisbane City Council website for information about other workshops being held across the city during Compost Awareness Week. Come along to one of Brisbane City Council’s free compost and worm farm workshops and learn about no fuss organic recycling. Bookings are essential. Call Council on (07) 3403 8888 to reserve your place or visit www.brisbane.qld.gov.au/waste for more workshop locations. Please wear a hat and flat enclosed shoes and bring sunscreen and drinking water. The workshop may be cancelled in wet weather. Please call Council on the morning of the workshop if you are unsure. 'A seed is like a plant packed into a suitcase ready to go on holiday' In this workshop we will cover why it is important to save seeds, how you can start preserving heirloom varieties. We will also cover seed cleaning for wet and dry seeds when to harvest and how to store. Linda Brennan has been a stingless bee keeper for 15 years and at this workshop we’ll learn about bee forage food, and the life of the stingless bee. She will show us how to split our hives and provide perfect conditions for the bees to flourish. You’ll taste some of our own native honey too. If you have a fly net and hat, please bring that, and wear light coloured clothing with button up sleeves and collar. Learn how to detox this spring with natural home remedies and herbs already growing in your garden. Use the wisdom of Ayurveda to cleanse and rejuvenate your body. We are often looking for new facilitators to run workshops – if you have skills and knowledge to share and experience in running workshops, please get in touch at janestgarden@micahprojects.org.au.